His solo set will celebrate 40 years of ‘Please Don’t Touch’ and will also include special GTR number ‘When The Heart Rules The Mind’, with other old favourites and songs from his ground-breaking new album ‘The Night Siren‘. Joining Steve on this tour are Roger King (keyboards), Gary O’Toole (drums / percussion), Rob Townsend (saxes / flutes), Jonas Reingold (bass / twelve string) and Nad Sylvan on vocals. Since the 1970s Steve has had an extraordinary career, first with Genesis and then solo, releasing over 30 solo albums and a huge North American hit album with supergroup GTR. Steve has invented techniques like tapping and sweep-picking, with both Eddie Van Halen and Brian May acknowledging his influence. Renowned as one of the most innovative rock musicians of our time, in 2010 he was inducted into the prestigious Rock & Roll Hall of Fame. 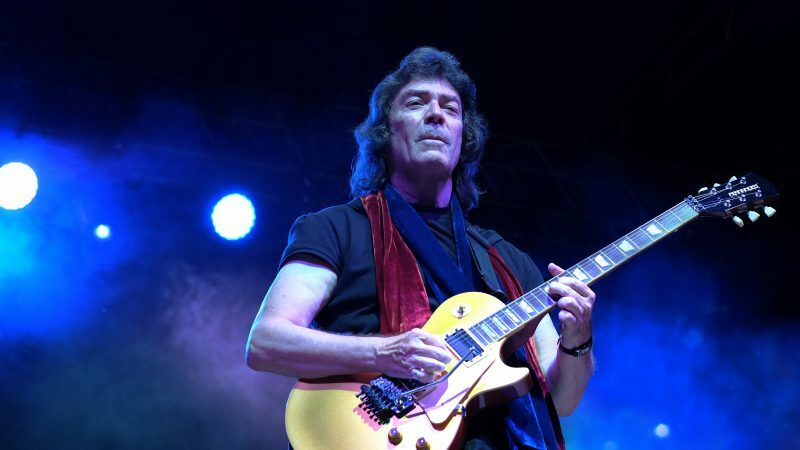 Don’t miss this outstanding live concert Steve Hackett Genesis Revisited, Solo & GTR 2018 Tour de Force! $59.75 – $139.25, taxes and service charge included.